Smith's no-nonsense performances at the heart of Liverpool's defence saw him nicknamed the 'Anfield Iron' during his 18-year spell on Merseyside. 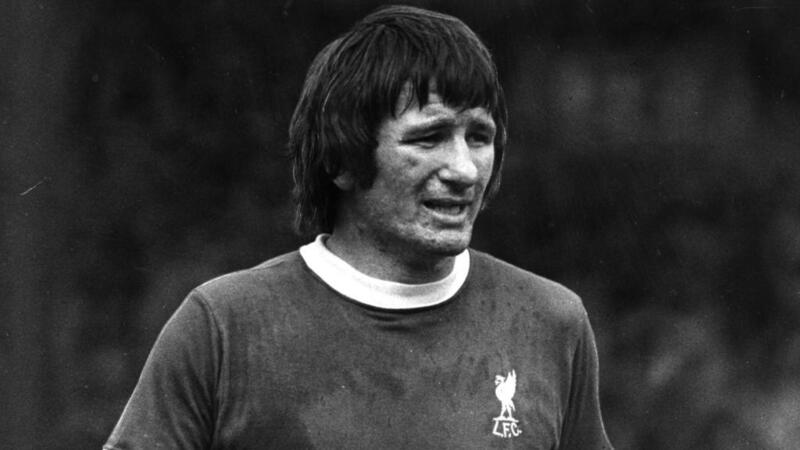 Reflecting his tough style of play, Shankly once said of one of his favourite players: "Tommy Smith wasn't born, he was quarried". Speaking to Liverpool's official website, Smith's daughter Janette Simpson said: "Dad died very peacefully in his sleep shortly after 4.30pm today. "He had been growing increasingly frail and suffering from a variety of ailments over the last three months especially. We are obviously all devastated." Smith's former Liverpool team-mate Phil Thompson told Sky Sports that his fellow defender was an 'icon'. "I loved him from the Kop, because of his passion, commitment and never-say-die attitude," he said. "He was an incredible figure who helped me out enormously. Liverpool Football Club owe this guy a debt of gratitude. "To go on and play with him, rub shoulders with him, go into battles with him, he was iconic. He wanted and desired the points every week. "Tommy was the epitome of what Bill Shankly demanded. He drove the team, he was incredible." Former Liverpool player and manager Kenny Dalglish added: "He was a great advert for Liverpool Football Club, the way he conducted himself. His memories will be there forever." Ray Clemence was one of the Liverpool goalkeepers who benefitted from Smith's defensive excellence. "So desperately sorry to hear of the passing of Tommy Smith a real legend of the club. Honoured to play with him. Great captain and leader of men thoughts are with family and friends," Clemence said.